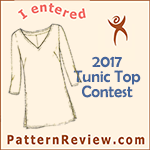 Made the deadline for Blouse Contest at Pattern Review!!!!!! Here is view of the front. This is my March Garment of the Month also!!! 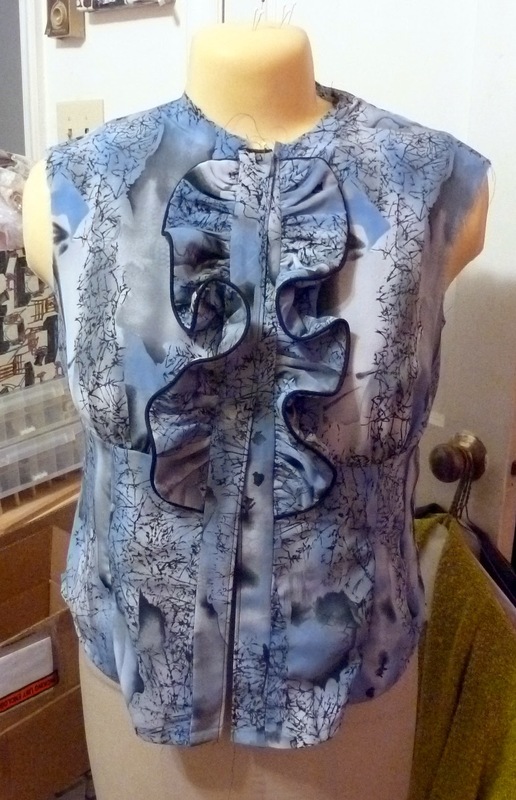 I have attached the collar stand and collar to the blouse. You can see this here and here. I look photos with my iPad last night and uploaded to Flickr. Sleeves are ready to be inserted, sleeve cuff to add, buttonholes and buttons. I ran into some issues attaching the collar stand and collar. Perhaps neckline stretched some, though I did stay stitch earlier on. I don't recall having this issue when I made previously and had no notes to myself on the pattern instructions that this was an issue. After several attempts I finally got it attached okay. I have to find buttons. I just don't have enough on hand so will visit JA's today; sometimes they have a good selection and sometimes not. Praying today is a good day. 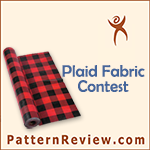 As I have noted previously, I am a patternaholic! Club BMV is such an enabler; I am getting better with resisting more pattern purchases. 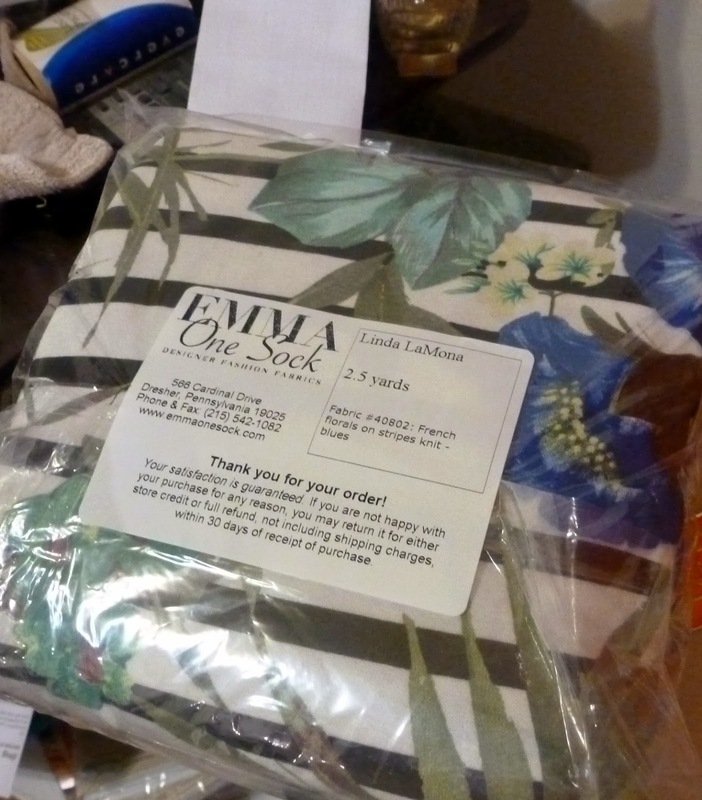 Now, however, I have become obsessed with Indie patterns and have purchased a few recently. Here are the two patterns I bought during a recent Club BMV sale. Both Katherine Tilton patterns. I truly love the look of these pants. I never sew pants; I am going to change that as I want to give these a try. At my age and time in life, it is rather ridiculous to not give pants sewing a try again. No more excuses. I have also stitched the collar and is read to attach to the collar stand, no photo yet of that. Not sure what color buttons I will use and need to purchase. I am thinking black. The princess seams are to be topstitched and I am holding off on that until the end in case I may need to take in the princess seams. 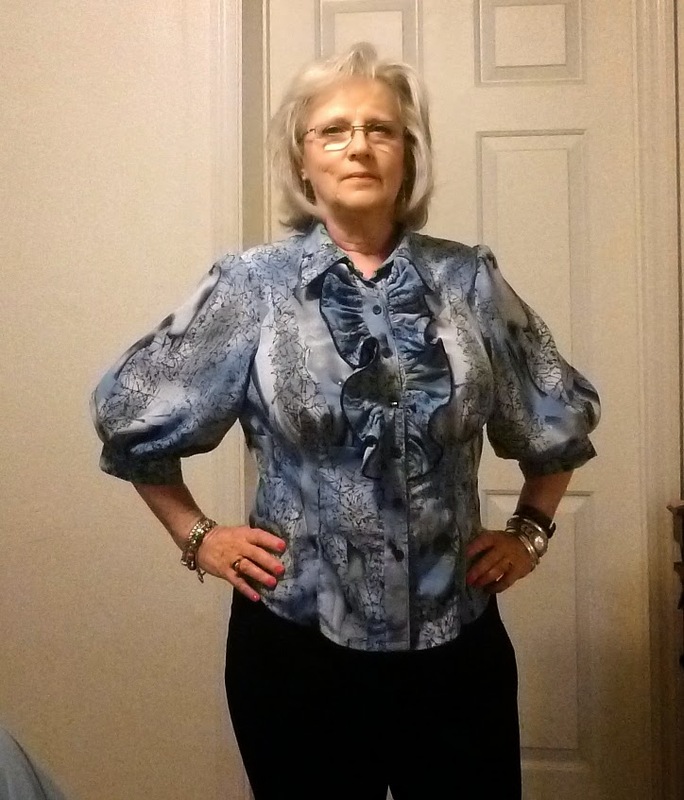 My second fitting created a doubt in my mind that the blouse was fitting enough; and if taking deeper side seam would work or not. I still have some time to complete this for the PR contest, but feeling a little pressured now. I am still continuing plans to switch to spring sewing. Last week we had three glorious days of spring time with highs in the 60's and 70's. Then Wednesday night, winter returned and Thursday was a high of 28! Yesterday another great spring day-high of 72. Today we are expecting rain, temperatures dropping to lows in the 30's with ice and snow called for. 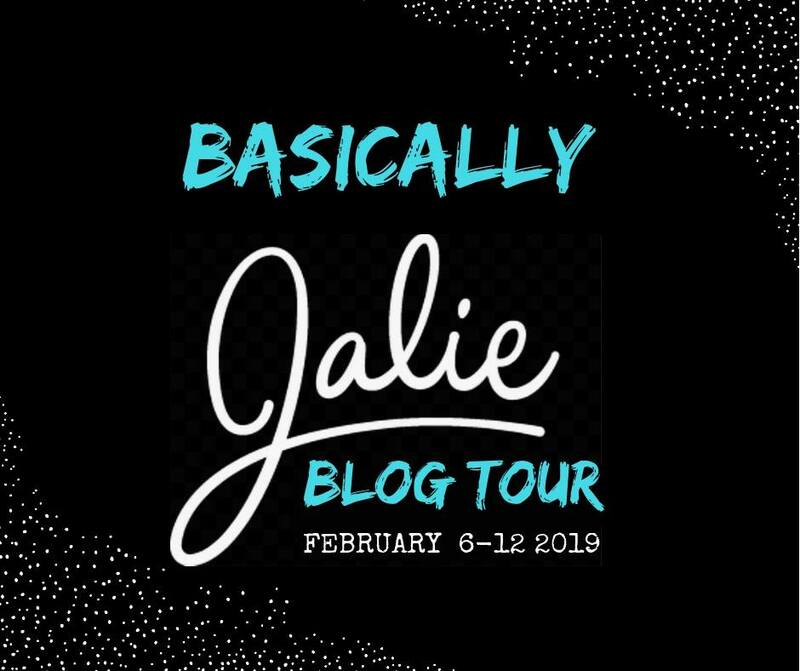 If you look in the right sidebar of the blog under Instagram photos you will see a shot of the blouse. That was the status this morning. Since then I have interfaced the collar, collar stand, sleeve cuffs and front bodice band. I have also turned up the hem and plan to stitch that tonight. 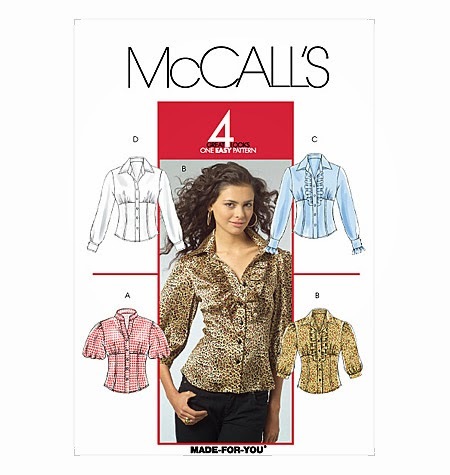 I am making good progress on the McCall's blouse. I am not following the pattern instructions on this one at this time. The instructions have you sew the the upper front and back together at the shoulders and side seams. Next you saw the front bottom pieces and the back bottom pieces together and then sew them together at the side seams. Then you attach the bottom pieces to the top pieces. Now if you have to make fitting adjustments you have to remove stitches at the seams that attach the top and bottom pieces and then you make have to undo the side seams to get in there and make those adjustments. By sewing the bottom front to the top front pieces and doing the same for the back, you will then sew the shoulders and sides together. You then have one continuous side seam and adjustments are easier to make. "Sometimes I get a good feeling---"
I have been listening to music this evening and I have this song playing over and over. Yes, I do have a good feeling as the temperatures rose some today making it feel like spring could be coming some day soon. Something did arrive earlier this week, new spring fabric from EOS. I have not even taken it out of the plastic wrapping yet. The blue fabric is much prettier than it is showing up here. My plan is make a skirt to wear with the fabric above it or to incorporate both pieces into a dress. The floral cotton piece will become a blouse. Speaking of blouses, I have serge finished the edges of the main bodice pieces of the blouse I am currently working on for the Fitted Blouse Contest at PR and as my Garment for the Month. Another good feeling. I hope your week has been going well. More later. I pulled out the pattern pieces for M5522 to see what adjustments were made previously. I made one additional adjustment-a 5/8 inch high round neck adjustment. Other than this adjustment, I felt all pieces were adjusted correctly for my usual changes. There are 12 pattern pieces!!!. 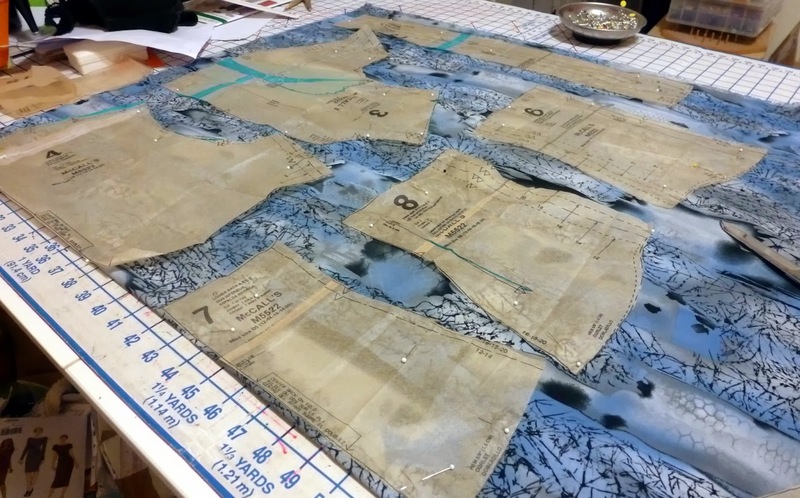 Here is the start of the layout of the pattern onto the fabric. The fabric is from Vogue Fabrics purchased 2011. There have been several times that I pulled out this fabric with the idea of making a blouse. Now was the right time. Since taking this photo of the beginning layout I have not cut out all pattern pieces. Next step cut out interfacing for appropriate pattern pieces and for the fabric weight. Updates later. I added the neckband to the New Look top. Sorry, no photo to show at this time. With all the adjustments I made I am not happy with this top. There is still something off about it. 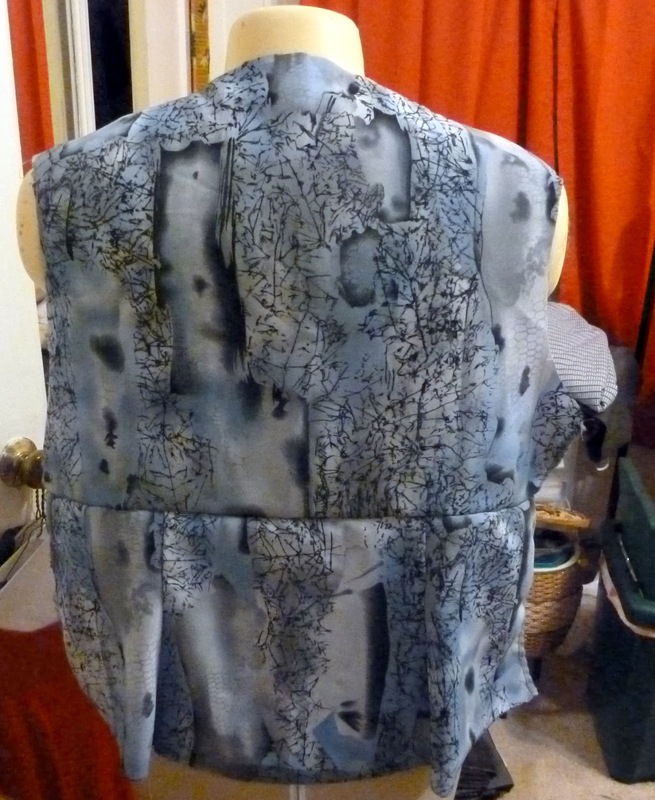 After attaching the neckband, the right back shoulder area looks stretched out of whack. I snugged up the neckband on that side and it still stands away from my body but the left side fits as it should. I have decided that this top will be something I will wear around the house. I have spent enough time on it and I can say I learned something about fitting adjustments that I know now that I can use in the future. Thus I am ending this project and have decided to also end my cold weather sewing. It is still cold here in my neck of the woods, I am just ready to move onto spring sewing.